Every now and then, I’ll pick a pet to draw from my list of IG followers. Follow me @dollgift and hashtag your photo #dollgift_petstory to get notice (your account has to be public so I can see)! Please get in touch if your pet is drawn and you’d like to purchase the drawing as a print or on merchandise such as t-shirts, phone cases, pillows etc. 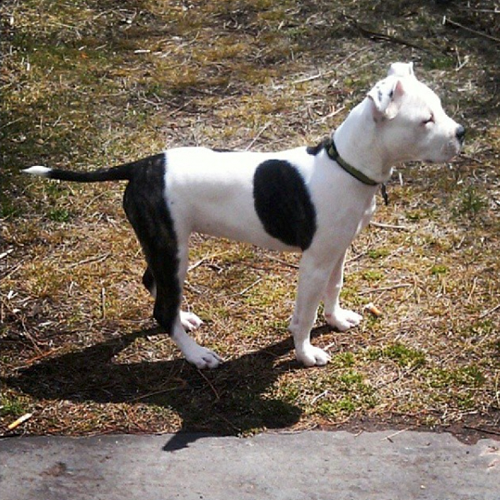 Hello, my name is Roxy and I’m a Pit Bull. I look like I’m wearing black leggings from side angle, isn’t that cute? :) Can someone explain to me why are people so afraid of us and banned us from many places? I know some of my brothers and sisters may look ‘fierce’ but we are be extremely loyal, loving and sweet too. My momma adopted me when I was a little nugget and she still calls me that years later, so I believe I’m very very special! 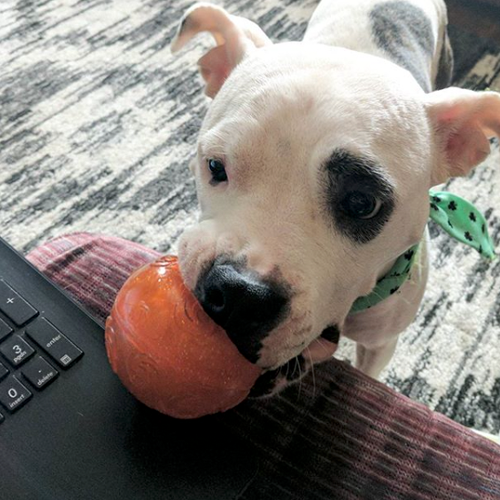 Sometimes I would bring my toy to momma when she is working on her computer to remind her to take a break. I would also jumped onto the table to give her kisses when she comes home from outside. :D I wish everyone would give my brothers and sisters a chance to be their little nuggets too. Send me a message if you would like to commission a portrait.